TRAILER RENTS FOR $20.00/DAY WITH THE RENTAL OF THE TRACTOR. IF RENTING WITH THE BRUSH MOWER OR LANDSCAPE BAR YOU WOULD NEED THE 16FT TRAILER. 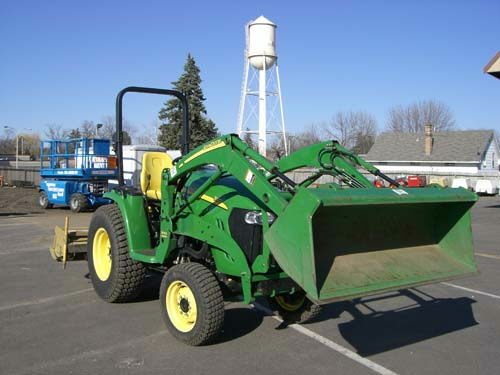 ENGINE29.5 HP, DIESEL,13.5 FUEL TANK,WHEELBASE 68"
* Please call us for any questions on our tractor jd 3120 rentals in Elk River MN, Big Lake, Zimmerman, Maple Grove & Rogers MN, serving the northwest Minneapolis metro area.